Writers are supposed to have a website and a blog. Right? Because that's part of our "platform." We're also supposed to be on Twitter, Facebook, GoodReads, Google+, and anything else that might reach a potential reader. But there are times when we think, "What's the use?" I've read surveys telling me social media isn't the magic bullet it's supposed to be, bringing hundreds and thousands of new readers to a writer. I've read others that say social media is the greatest thing since sliced bread, and if I don't participate, I'm losing readers. How do I decide? Then again, there's the pressure of coming up with something new and interesting on a regular basis. I've settled into a twice-weekly schedule, posting Tuesday and Friday. Others--and I don't know how they do this--post five or even seven days a week. Agent Jessica Faust has been posting for over five years, and recently she decided to let her blog go dark. Why? Reading between the lines, it appears that she's just tired of it. I can so identify with that. My opinion, shaped over a number of years on the road to writing, is that the best marketing device is word-of-mouth, linked with creating the best possible book. Yet I continue to do all the other things recommended for writers. Am I swimming against the tide? Is it time to just drift? My recent request for input about blog content brought a few responses--not as many as I'd hoped, but enough to give a feel for what my readers want. Apparently, they're not as interested in author interviews and book reviews as in writing tips, insider publishing information, and posts about life in general. Duly noted. Here's one last chance for you to toss in your two cents' worth. Obviously you read blogs, even this one, or you wouldn't be able to comment. I'd like to hear from you. Do you think a blog is important for a writer? Have you ever bought a book based on the writer's blog? Do you think the Internet is running out of steam? And what would you like to see on this blog? Retired pastor Dan Walsh is a prolific and award-winning author. His latest book, The Discovery, is already garnering great reviews. I thought you’d like to get to know him, so I’ve asked him to stop by Random Jottings today. Here's an introduction to this prolific and excellent writer. 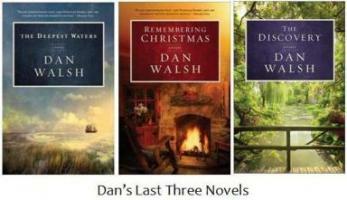 Dan Walsh is the bestselling author of 7 novels, published by Revell and Guideposts, including The Unfinished Gift, Remembering Christmas and The Discovery. For those who haven’t read Dan’s books, reviewers often compare them to Nicholas Sparks and Richard Paul Evans. 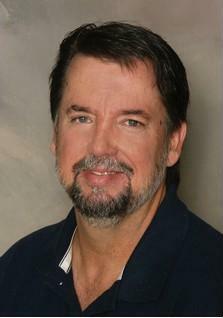 A member of American Christian Fiction Writers (ACFW) and CWG’s Word Weavers, Dan served as a pastor for 25 years and now writes full time. He and his wife Cindi have been married 35 years and have 2 grown children and 2 grandchildren. They live in Port Orange, FL where Dan is busy researching and writing his next novel. You can follow him on Facebook or Twitter, or read his blog. There are buttons to connect to these on his website. RM: Dan, you served for a quarter of a century as pastor of the same church. How did that impact your writing? Have you ever used situations or people from those experiences in your books? DW: Richard, great to be with you. Thanks for the invitation. A great question. As a preacher, I wasn’t much of a theologian (although I always endeavored to be accurate), but I was always a storyteller. I spent a good deal of my prep time looking for illustrations that would help the truths from Scripture connect well with my listeners. I suppose that helped me as a writer. Also, I figured out once that my sermons averaged 6-7,000 words each. And I prepared these about 48 times a year. That and the solitude needed to study, probably laid the groundwork for my life as an author these past few years. As to your 2nd question…I’m sure I have indirectly, but I wouldn’t feel comfortable “exposing” folks in my congregation in the pages of my stories (at least not in a way that anyone would be able to make the connection). RM: Since your first contract, you’ve had books released at a rate most writers would find hard to maintain. How many books do you have out now, and how many contracted for the future? And do you find it difficult to write them at that pace? DW: I wouldn’t be able to maintain this pace if I wasn’t writing full time. When I was still pastoring, I could finish a book in my spare time in about 8-9 months, which is what I did in 2008 through 2010. At the end of 2010, based on an increase in my next contract, we made the decision to go full time (something we had been praying about for 2-3 years, just didn’t know the “when.”). In 2011, I wrote 3 novels; two for Revell and one for Guideposts. That was a little rough. It wasn’t so much the writing itself, but all that goes into supporting a book’s release, as well as the rewrites and edits. We’ve settled on a plan to write 2 books a year for Revell through 2013. That’s a much more doable pace for me. How many books do I have out now? The Discovery is my 5th for Revell, and there’s the one for Guideposts, which isn’t available in stores, only through their book-a-month club. So that makes it six books in print now. My 7th is another novel for Revell, called The Reunion, which is ready to go, set to release in September. And I’ve just finished my 8th book, the first novel I’m co-authoring with Gary Smalley, called The Dance. It won’t be out till this time next year. I have 5 more books contracted with them: 3 more with Gary, and 2 stand-alones of my own, including one more Christmas novel. RM: Tell us a bit about your latest book, The Discovery. DW: This past week, Revell did a blog tour for the book, where about 70 bloggers in the US and Canada reviewed it (most were very kind). Maybe I’ll paste in a summary written by one of them. Michael Warner inherits his novelist grandfather's Charleston estate upon his death. His grandfather’s books sold in the millions. Instantly wealthy, he and his wife quit their jobs, move to Charleston, and Michael settles in to finally write his long-awaited first novel. After moving into the home, Michael discovers one final gift from his grandfather—an unpublished manuscript. 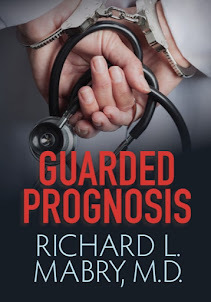 As Michael reads the incredibly emotional final story from his grandfather, he is swept away by the intrigue of German spies on American soil, an almost impossible romance, and life in Daytona Beach during World War II. The more Michael reads, the more he realizes that his grandfather may have been keeping some secrets of his own. RM: And I understand that one of your projects involves co-authoring with Dr. Gary Smalley. Is co-writing difficult or just different? DW: Because of who Gary is and what he’s like as a person, thankfully, this project is “just different.” I’ve really enjoyed working with him, developing this first book, the series storyline in general and now, several months later, finishing up that first novel. I’ve enjoyed just getting to know him as a man and consider this opportunity quite an honor. I’m actually the one coming up with the basic stories and writing the books, drawing from some of the most recent non-fiction marriage and relationship books Gary has written. Gary wanted it that way. He said he loves the way I write and didn’t want me to change a thing, in terms of style. We hammered out the plot together and, as I write, I send him 2 chapters at a time. He sends me any thoughts or comments within a day or so, and I incorporate them into the story as I go. Then at the end, he goes through the whole thing, giving me one final list of comments to put into play as I polish it up. RM: And, as I always ask, any final words for my readers? DW: Great spending some time with you. If you have any follow up questions based on things I’ve said, or anything else, feel free to ask them in a comment. I’ll check in throughout the day and try to answer them as best I can. Thanks, Dan. I look forward to reading The Discovery, and hope my readers will check it out as well. I know I said I was through with posts about the craft of writing, but something I read today triggered a thought I'd like to share with my readers. Writers chafe under the burden of "rules," written and unwritten, but until we're published we follow them, hoping they hold the magic key to unlock the publishing contract we're all seeking. But after an author is well-known, it seems that they can sometimes ignore those rules. Most of the time it doesn't seem to matter. Every once in a while, it does. Here's a paragraph from a book by one of my absolute favorite authors, the late Robert B. Parker. 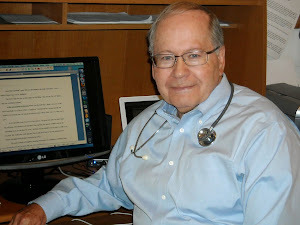 Dr. Parker had an earned PhD from Boston University in English literature. His work is peppered with references to the classics, and he showed a fantastic command of the English language. Yet in this paragraph, he broke one of the unwritten rules preached to writers. See if you can find it before I tell you at the end of this post. And does it matter? “But the lights from the clam shack made dark crystal patterns out of the rain that sluiced on the windshield, and the steady sound of the rain made the dark interior of the car seem like the perfect refuge.” From Sudden Mischief by Robert B. Parker (G P Putnam’s Sons). Reads pretty well, doesn't it? Spenser, the protagonist, and his companion, Susan, are sitting in a parked car, in the dark, in view of the ocean, eating fried clams from a nearby drive-in. You can almost hear the rain beating on the car roof, imagine the waves out there in the darkness. Does it matter that he used "dark" twice in the same sentence? Rules say it does. Readers say, not really. I was always taught to steer clear of sentences that read like this: In the corner was a man with a moustache wearing a tweed sports jacket. A comma or reworking the sentence would take away the mental image of facial hair clad in a jacket. But in re-reading some of Parker's novels, I find instances where he blithely plunges on after writing sentences just like that. I guess if you're a multi-published author, especially with a PhD in English literature, you can do it. Writers, have you seen instances where authors break a rule--written or unwritten--and get away with it? And do you sometimes wonder, "Why can they do that and still get published, while I'm still looking for a contract?" I'd love to hear some opinions. 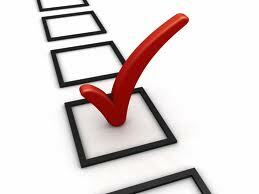 NOTE: It's not too late to take a 15-second survey about the kind of blog content you'd like. Just click here. I'll discuss the results next week. And thanks. Any of you who blog repeatedly, especially those who manage to do it on a daily or five-day-a-week basis, have my undying respect. It's tough coming up with new ideas all the time. If I've got this right, if you click this link you'll be taken to a survey that lets you give input about what you'd like to see here. I won't be capturing your addresses, no salesman will call, and you won't get a phone call at 8 PM as a result of this. You'll just be helping a guy struggling to keep his blog relevant. Hope you'll take a moment to respond. Thanks. 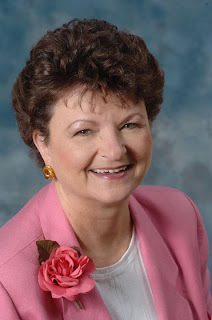 I’m delighted to have as my guest today noted author Gayle Roper. Gayle taught the mentoring group I attended at the Mount Hermon Christian Writers Conference early in my writing journey, and I will always be grateful, not only for what she taught me, but for her support in the years that followed. Gayle is the award-winning author of more than forty books. She has been a Christy finalist three times, has won the prestigious Romance Writers of America's RITA Award for Best Inspirational Romance, had a book named Inspirational Readers Choice Book of the Year (tied with fellow author Brandilyn Collins), won the Holt Medallion three times, and won the Reviewers Choice Award. To top it off, Romantic Times Book Reviews has given Gayle the Lifetime Achievement Award. RM: Gayle, I’m in awe, having as my guest a writer who has accomplished so much. In your years of writing, what has been your proudest achievement? GR: I think I’m proudest and most thankful for the fact that my writing career has lasted for over 40 years. That’s a long time to be published. I consider it a gift from the Lord. I find it hard to imagine what my life would have been without this longevity. How much I would have missed! RM: Outside of writing, what does Gayle Roper do to keep herself busy? GR: We have a lake cottage in Canada, and I spend my summers there. It’s great for writing. I have always been very involved in my church, and now my main contribution there is organizing the annual women’s silent retreat the last weekend in January. But my sweetest involvement is with my family and friends. I have two great sons, two lovely daughters-in-law and five grandkids who are the best. And I’m blessed with wonderful friends, some in the profession and some not, all of whom have been so supportive over the last couple of hard years. RM: Having been down that road myself, I know how devastating the loss of a spouse can be. After Chuck’s passing you started a blog about your experiences. Would you tell my readers a bit about TheWidow’s Journey? GR: For over a year after Chuck died, I didn’t write about it. I didn’t want to. Then one day I was sitting on the dock at our cottage, and I started thinking of these little pieces about how I felt and what being a widow did to your life, and I went inside, grabbed the computer and started to write. It didn’t take long to realize I had a blog developing here. I’d resisted blogging because I didn’t feel strongly enough about anything to commit to writing about it regularly. Now I had a topic and a desire to touch other widows and widowers, to let them know that while our experiences and situations may differ, our emotions are very much the same. RM: You have written so many books, covering a wide variety of subjects and settings. Do you have a favorite book or series? GR: You know, I really don’t. I like all my books for different reasons. I like the Caught series because I love the heroine and the humor mixed with the mystery. I love the Seaside books for each unique story and the chance to wrap timely topics from cults (Shadows in the Sand) to a gay brother (Spring Rain) to an overwhelming parent (Summer Shadows) in a story of suspense and romance. I love my Amish novels because I live where they live and watch them all the time. It’s great to present them as real people with real problems. When you get to know the people in these books and others, they become real, their problems and solutions become real, and I love them all. RM: Would you tell my readers about your latest novel? 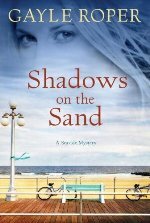 GR: Shadows on the Sand is set back in Seaside, NJ, my version of a Jersey shore town, based on Ocean City, NJ. Carrie, after a rough start in life, has settled in Seaside and runs a café. Among her customers is Greg, the cop who showed up in all the other Seaside books and who now gets to be The Guy instead of a peripheral character. Andi, a waitress—or server if I want to be PC about it—is hiding from some very bad guys, and through her Carrie and Greg get drawn into the mystery. We’ve got cults, missing mothers, murder, the twisting path to true love, forgiveness, and a time for every purpose under heaven. Do you think that will whet appitites? RM: And what’s on the horizon for the prolific Gayle Roper? GR: A lot of my time right now is going into my blog, The Widow’s Journey. My vision for the blog is that it will become a book. The comments that have come show that many women get what I’m saying. They are where I’ve been and still am. I’ve also got a couple of book projects in the development stages. Nothing firmed up yet, but much that is promising. RM: Finally, as I always ask, any last words for those who read my blog? GR: I was just reading today about the 10,000 hours that we need to practice our chosen field to gain expertise. It brings home to me the three P’s for success as a writer or as one who does well in any field. Perseverance. Prayer. Practice. It’s a three legged stool, and if you remove one of those legs, the stool cannot stand. So don’t give up. Ask God’s help and seek his will. And practice so that by constant use you may prove yourself. That way you’ll get to the point of giving Richard and me a run for our publishing money! Thanks, Gayle. As always, great to be with you (even in cyberspace). Readers, do you have any questions for Gayle? 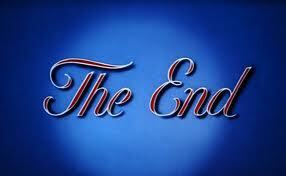 The word denouement (pronounced day-new-mah, sort of) comes from a French word that means a knot. And that's exactly what it does--it ties things up at the end. The conclusion of the story answers questions and brings the story to its logical (or illogical) finish. One thing writers are warned to avoid is the mechanism of Deus ex machina. This means "God out of the machine," and was a device used in classic Greek theater, when a crane lowered actors playing gods onto the scene to bring order out of chaos and give a happy ending. And here's another thing to consider. In my first mentoring class on writing, I was told by an excellent writer of Christian fiction that the hero or heroine had to be the agent of his/her own deliverance. No cavalry riding to the rescue, no external intervention, they had to do it themselves. I'm not sure that's a hard and fast rule, but I've tried to adhere to it, and I think it adds to the tension as a book comes to a close. For more about the denouement, you can check out this Writer's Digest post. Have you read a book, seen a play or movie, even watched a TV program where the denouement was both unexpected and satisfying? Care to share? Hope you will. Kay hates for me to shop with her. I shop like a man, she shops like a woman. Say she's looking for shoes. I see a style I think she'd like, she tries them on and they fit, I think she's through. Wrong! She wants to check out other styles, even other stores. 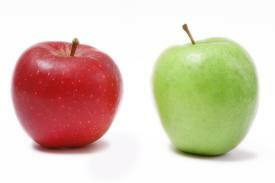 She wants to compare. Men may not be much on comparison when it comes to shopping, but since I've embarked on this road as a writer, I've certainly found myself comparing...a lot. And it kills me when I do. Social media have changed our society. (For those of you thinking, "He's on his soapbox again," you're right). Like all authors, I have a presence on Twitter, Facebook, Google +, Goodreads--all opportunities to interact with readers and fellow writers. But when I open my Twitter and see another author sharing about a new contract, I can't help thinking, "What am I going to do when my present contract runs out?" If the news is of a book that wins an award, my thoughts run toward, "I've had several nominations, but never won something that allows me to use the term, 'Award-Winning.' When is it my turn?" And so on. Beyond social media, there's the temptation to compare my writing with that of others. I like to read novels from the general market, as well as Christian fiction, and there are times when I close one of those books and think, "I can never write like him/her." Comparison rears its ugly head. One of the things I like about writing in Christian fiction is that, by and large, fellow authors are willing to help, to praise, to rejoice with the success of others. And that's great. But when I see such success all around me, there's always this little voice from behind me that says, "Why not you?" And the answer is, "I can't be James Patterson or JK Rowling. I shouldn't try to emulate anyone else. 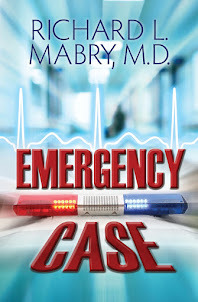 I have to be Richard Mabry and produce the best work I can." The problem extends beyond writing, of course. Someone--it may have been my friend and mentor, James Scott Bell-- said, "Comparison is death for a writer." I'd change that to "Comparison can be death for anyone." If someone else at work gets a promotion you think you deserve, how do your react? 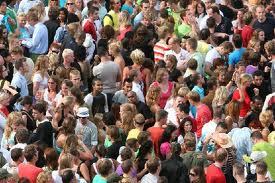 If another church has a larger attendance, bigger screens, better music, do you find yourself thinking of changing? How about you? What's your take on comparison? I'd like to know. It's funny how, when you've moved into the world of writing, things you previously took for granted can take on a new meaning. Recently I was thumbing through my Bible looking for a particular quotation, and I stopped at the passage where King Saul reluctantly accepts David's offer to fight the giant, Goliath. Saul tries to fit David with his own armor, but the boy declines. In the margin, I'd written something gleaned from a prior Sunday School lesson: "You can't fight in someone else's armor." And that reminded me that, as a writer, I can't write using someone else's words. Let me explain. Early in my writing journey, I attended a mentoring class at an excellent writer's conference. Like others in the class, I submitted the opening scene of my work-in-progress for comments by other class members and by the instructor, a well-known writer. After the class, he and I sat in the lounge and he proceeded to rewrite the scene. He improved it, but the end result was a scene in his "voice," not mine. What I then had to do was put those changes into action using my own words. Otherwise, I'd be trying to fight the battle for publication clad in his armor. Writers can struggle for years to find their unique "voice." 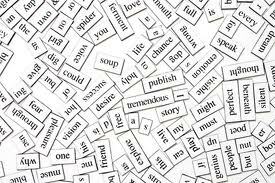 This means the way they string words together, the attitude of their characters, the balance they achieve between dialogue and description. No one can do it for us, and the harder we try to imitate the work of other writers, the more stilted and contrived will be our own writing. So we have to remember: We can't fight in someone else's armor. Writers, has this been a hard lesson for you to learn? Readers, can you tell when a writer is trying to imitate another? Let me know. Today is the day known as Maundy Thursday or Holy Thursday, commemorating the last meal Christ had with his disciples prior to his arrest and subsequent crucifixion. I'm honored that my meditation, The Condemned Man's Last Meal, was chosen to be highlighted today in The Upper Room guide. You can read it (and other meditations for each day of the year) here. 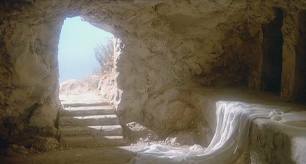 As Easter approaches, may I wish you and yours a blessed and meaningful celebration of the Lord's resurrection. I've been writing and editing lately, typing words into the computer, rearranging them, deleting, re-typing, to shape a story that will hold the reader's attention while, in the end, conveying a lesson of sorts. Sometimes I get so caught up in the writing that it's hard to tell where the story ends and reality starts when I finally get up from the computer. 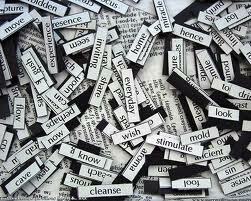 At other times, each word seems to be forced through a tiny pipe before emerging at the other end. This may not make sense to you if you're a reader, but if you're a writer, you're probably saying, "Yeah, I know what you mean." Have you read a book, poem, or story whose words touched you deeply? I hope you'll share. Thanks.